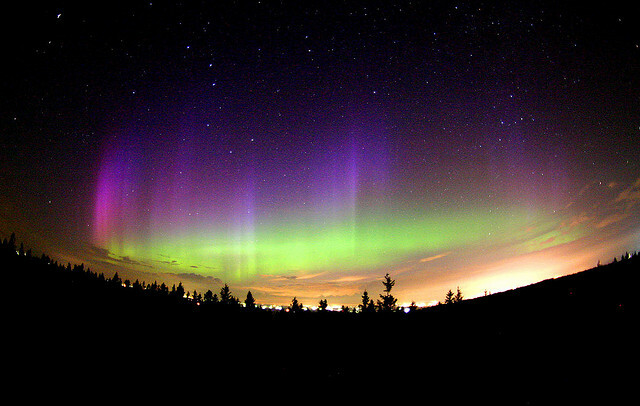 The Northern lights, or Aurora Borealis are possibly the most famous and beautiful natural wonders of the world. The Vikings used to believe that the lights were spirits of the dead whereas people in ancient times are rumoured to believe that the lights were an evil force. With modern technology and satellites we now know that the lights are created by solar gas from the sun coming into contact with the Earth’s magnetic field. This truly incredible spectacle turns the night sky into a dancing, colourful blanket of lights and shapes which has intrigued and amazed people for thousands of years. There are a few places in the world where you can get a brilliant view of the Northern Lights. Canada and Alaska are famous hot-spots, as too are Sweden and Finland but for a truly unique experience and arguably the best place in the world to behold this incredible spectacle is Norway. Cruises to Norway run throughout the year and as anyone who has been on one will tell you, they are unforgettable. Holiday companies like Newmarket Holidays offer a variety of cruises to Norway from many different destinations and are fantastic for avid explorers and sight-seeing. There are lots of different ways to enjoy this natural wonder from sitting in a hot tub in the snow, midnight dog sledding under the stars, watching from the deck of a cruise ship or even wrapped in a blanket on your hotel balcony. However you choose to experience the Northern Lights it will be something you will remember for years to come. The Telegraph travel section describes the Norwegian islands of Svalbard as one of the 4 best places in the world to see the Northern Lights. Due to its location inside the Arctic Circle, the clean skies and close proximity to the North Pole make it a fantastic place to watch the wonders of nature happen right before your eyes. Cruises to Norway offer once in a lifetime adventures to anyone wanting to see and explore the unspoilt natural beauty and charm of Scandinavia. You can wrap up warm, stare into crystal clear skies, travel along the coast of Norway taking in its thousands of years of history whilst watching the magic of the Aurora Borealis unfold in front of your eyes. You can read more about this incredible country here at visitnorway.com. The Northern lights have made Norway a very sought after tourist location but the country still has so much more to offer. In the day you can climb vast mountain ranges and drive through mountain roads. Visit Europe’s largest mainland glacier, explore jaw dropping fjords and coast lines, discover amazingly preserved medieval churches, then at night you can experience nature at its finest under the colours and swirling patterns created by the Northern Lights. Trip Advisor has a lengthy list of attractions and points of interest if you are planning on holidaying or booking a cruise to Norway. There are many companies such as Newmarket Holidays that can give you plenty of information and help you plan your trip to see the Northern lights and everything else that Norway has to offer. Tags: Aurora, Aurora Borealis, Northern Lights, Norway, Travel and Tourism. Bookmark the permalink.